The punch grafts have 10-15 hair follicles. Mini graft has 2-5 hair, while micro grafts have just 1 to 3 follicles. In the slip graft procedure, slits are made in the scalp and tiny slit grafts are inserted, each with 4-10 follicles in it. 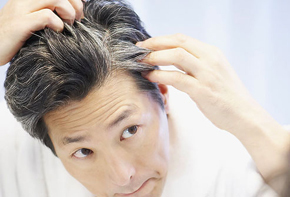 While the longer versions are the strip grafts that have about 30-35 hair and are long thing segments of skin tissue that is grafted on balding patches.